On September 20th, Hurricane Maria pummeled into the Puerto Rican coast with wind speeds of up to 150 miles per hour, deluging the entire island with rain and quickly pulverizing its energy grid. The entire island was left without power. Puerto Rico’s energy infrastructure is notoriously fragile. As Ruth Santiago, a climate advocate and attorney with Comité Diálogo Ambiental, Inc., a Puerto Rican environmental law group, told AN, three fallen trees in 2004 once took out energy for the entire eastern seaboard. Santiago explained that this was largely a geographic problem. Energy is by and large produced by two power plants – the Aguirre Power Complex in Salinas and the Costa Sur plant in Guayanilla. An additional coal-burning plant owned by US-owned AES Corporation is another player. Yet these sites are huge distances from some of the most populated cities. Nearly 230,000 kilowatts of energy are produced by the Aguirre plant, extending through power lines over the central mountain range of the island to the metropolitan area of San Juan, which along with its neighboring cities has a population of about 2 million people – over half of the island’s total population of nearly 3.5 million. Transmitting energy at that distance makes the whole grid extremely prone to collapse. In September 2016, a similarly massive outage occurred, but this time due to faulty maintenance, Santiago explained. 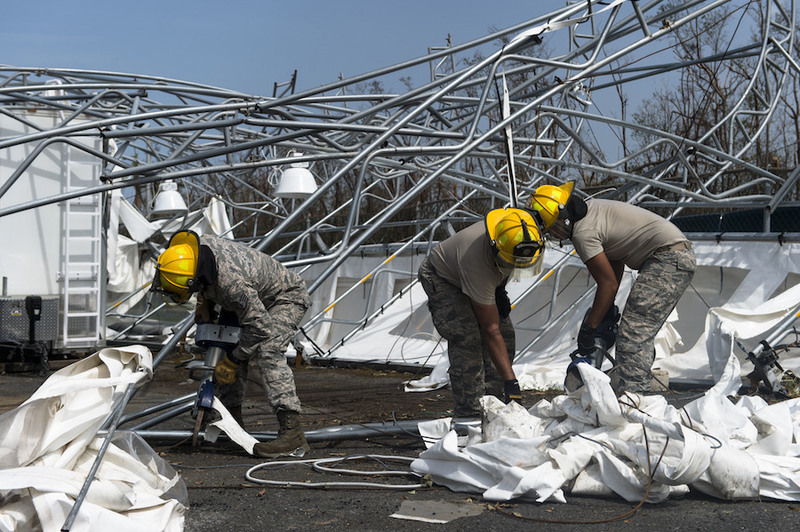 A general lack of resources and oversight means it is difficult to maintain the grid in the long term, especially as it faces the duress of hurricane-power winds and as these storms become more intense with climate change. Luis G. Martinez, Senior Attorney and Director of Southeast Energy at the Natural Resources Defense Council (NRDC), told AN that Puerto Rico’s energy problem has been caught in a vicious cycle for quite some time. Earlier this summer, the Puerto Rican power utility PREPA filed for bankruptcy with a $9 million debt. Petroleum isn’t cheap, and Puerto Rico is one of the only islands in the Atlantic to operate off of a petroleum-based energy grid (it is the source of about half of the island’s electricity). When prices spike, utilities spend all their funds securing fuel, sinking further into debt and unable to break the cycle until they are no longer able to borrow money. Until about two years ago, Martinez said, the Puerto Rico Energy Power Authority (PREPA) was operated with very little oversight. In 2014, the Puerto Rico Energy Commission (PREC) was created to regulate PREPA. Two days after the storm hit, another infrastructural system showed signs of imminent collapse: the Guajataca Dam located on the northwestern end of the island, a 90-year-old, 120-foot-tall structure holding back about 11 billion gallons of water. Three nearby towns, Isabela, San Sebastián and Quebradillas, were immediately evacuated, displacing thousands. Supplying relief from the mainland United States faces its own challenges. Yesterday, President Trump waived the Jones Act for a period of ten days. The Jones Act is a century-old law requiring goods delivered to Puerto Rico to be carried there exclusively on American-owned vessels. This Act has been hindering the delivery of relief supplies to people in need. Representative Nydia M. Velázquez (D-NY) was responded: “For an entire week, the President was touting his concern for the shipping industry, while refusing to suspend the Jones Act. A ten-day waiver, as the Administration has announced, is far from sufficient given the scope of this tragedy … To that end, I repeat my call for a one-year waiver of the Jones Act.” The President shows no signs of budging. On the ground, recovery efforts are unfolding in myriad ways. Santiago has been working with local advocates on a short-term response to the island’s energy crisis, noting that long-term solutions like sustainable energy sources – localized, solar micro-grids being the ideal – are important, but should be implemented carefully in the months to come. For now, she said, municipalities need smaller-scale solutions: cell phone chargers and generators chief among them. She described recently visiting a facility where individuals with diabetes, heart conditions, and cancer were going without their medications because they could no longer be refrigerated. Fortunately, some groups have arisen to work on long-term solutions to the frail energy grid, alongside the efforts of Puerto Rico-based organizations. A Brooklyn-based initiative called Resilient Power Puerto Rico, a project of the Coastal Marine Resource Center (CMRC), is focused on solar energy solutions. In their first phase, they are seeking to provide mobile solar-energy hubs, which are being prototyped in Santurce (a district of San Juan), which will be scaled up to be based in Caguas, a city in the central mountain range of the island when they have more resources. These hubs, if effective, will be able to provide limited power to the residents of small towns around the island. CMRC’s mission is quite extensive both in time and scale: by the end of 2017, they hope to deliver more than 100 mobile solar kits to be assembled in public spaces in municipalities, training communities to install the projects along the way. The timeline for the initiative extends through 2021, when they hope to advocate for solar energy for the entire island as a permanent replacement to today’s over-stretched grid. 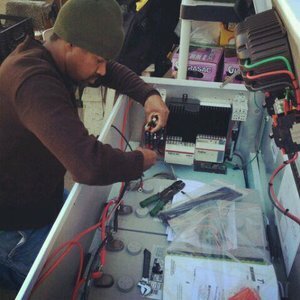 The organization has experience implementing these kinds of projects, including in the aftermath of Hurricane Sandy, when CMRC produced scalable solar panels and generators for the hard-hit Rockaway peninsula in New York City. As Santiago explained, with the economic and fiscal crisis the island was already undergoing when Maria hit, any investments should be made in renewable energy and micro-grids, and set the stage for future investments in the same field.